It’s no secret that people are willing to spend a fortune on watches. However, we’re here to tell you just how far they’ll go to have the best watch in the world. Whether they’re covered in diamonds or exclusively created for the royals, these precious watches are the most expensive in the world. Easily reaching into the multi-million dollar category, these incredible works of art can cost as much as 55 million US dollars. However, with the high price tag comes dedication and quality unseen in any other watches. We all know this is the only watch you’ve come for so why save it for last. The illustrious title of the most expensive watch in the world goes to Graff Diamonds for the mind blowing, Hallucination. Combining the best of 110 Carats of coloured diamonds, inset into a bed of platinum, this “Time Piece” will blow you a heavy $55 Million Usd. Worth a heaping $55 million, the Hallucination is a masterpiece with over 110 carats of diamonds of different tinges set into a solid bracelet of platinum. As well as holding the position for the most expensive watch ever, Graff Diamonds is also behind the second most pricey timepiece. 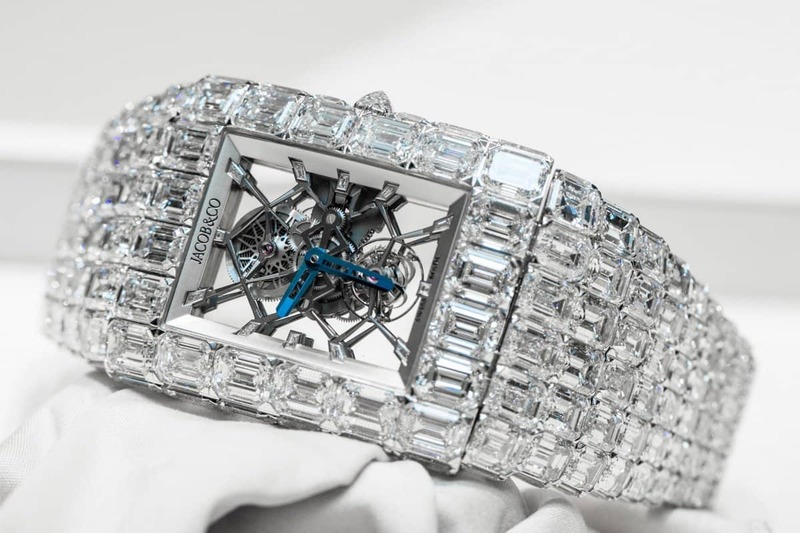 Dubbed The Fascination, this $40 million watch consists of 152.96 carats of white diamonds and includes a centre, 38.13-carat, pear-shaped diamond that can detach into a ring. Graff Diamonds sure knows how to give their competitors a run for their money. Not only is the Breguet Grande Marie Antoinette an incredible timepiece, but it also has a fascinating background. 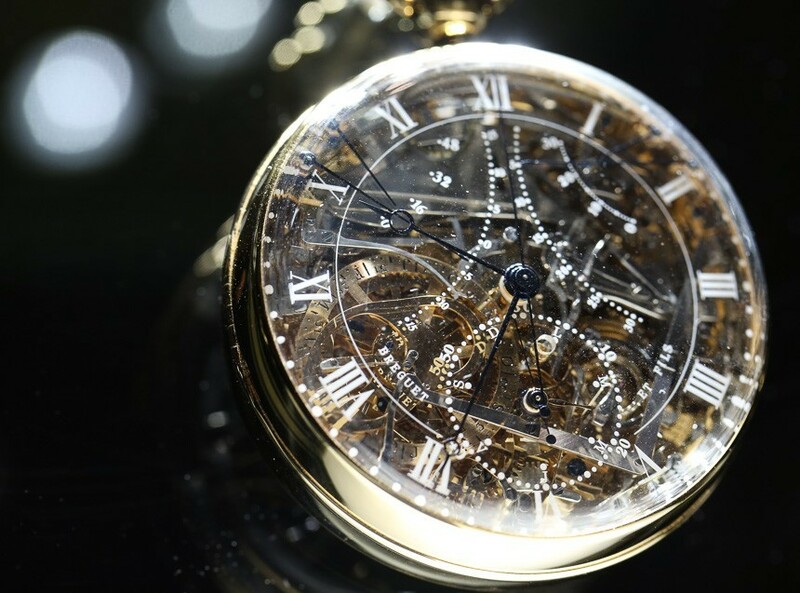 The pocket watch, which is worth $30 million, was commissioned by a lover of the French queen, Marie Antoinette in 1782. Unfortunately, the intended recipient died before ever being able to wear such a handsome piece. A waste for the 40 years of love put into it. The reason behind this watches worth is put there right in it’s own names. 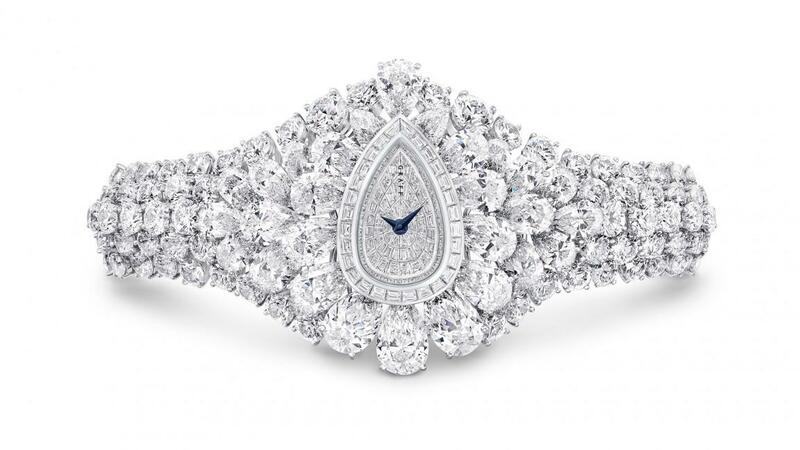 With over 201 Carats, Chopard brings the value of this watch to over $25 Million. The 201-Carat Watch consists of a 15-carat pink diamond, a 12-carat blue diamond, and an 11-carat white diamond as well as a further 163 carats of white and yellow diamonds. If Diamonds are forever, this watch will be infinitely Eternal. This Jacob and Co. watch isn’t called the Billionaire Watch for no reason. If you can cough up the $18 million, you’ll be rewarded with a seriously luxurious watch complete with 260 carats of emerald-cut diamonds and a beautiful skeleton face. Sold for over $11 Million, this Patek Phillippe 1518 is a serious piece of work that stands out from the crowd. Being a limited edition from a four-piece series makes it an extraordinarily rare sight to behold. This watch features stainless steel rather than the typical yellow or rose gold in the which is common. If you appreciate making a bang, and have a spare $5 million to drop, consider purchasing a diamond Hublot Big Bang watch. Featuring 1280 diamonds with at least three carats each, this over glamorous timepiece is a lesson in luxury. Every stone on the watch was even cut by the same New York jeweller with over 40 years experience to ensure they each bear the same cut signature. The rarity of a watch is a big factor in it’s pricing. So at $4.6 million, you can be absolutely certain that the Louis Moinet Meteoris is pretty rare. In fact, only four of these watches were created, and for good reason. Each watch contains a rock straight from the moon, making the Meteoris out of this world. 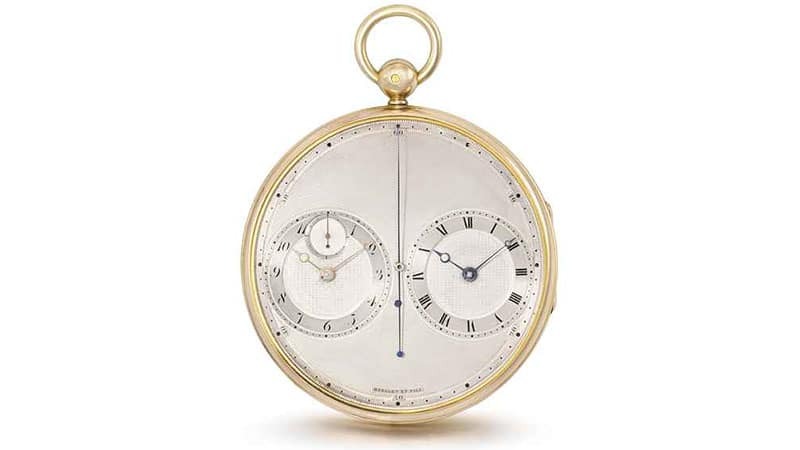 The charming Breguet Antique Number 2667 pocket watch can be yours for a small fee $4.5 million. As well as featuring a stylish, traditional pocket-watch design, this watch also boasts a luxurious 18k yellow gold case and not TWO oscillating bodies. A perfect pocket-watch for those going for a more traditional look, especially if you’ve been watching The Peaky Blinders. Rolex are notoriously expensive, and this Rolex is no different. However, this Dayotona 6263 Oyster Albino has broken the record for the most expensive Rolex ever sold, for a fresh $4 million. The watch gets its name from the white subdials, hence the ALBINO part of the name. Along with it’s eye catching, unique design, this watch is limited to only four ever made. A watch that’s just as rare as the Louis Moinet Meteoris. Ever wondered what the most Complex wristwatch in the world would look like? The Frank Muller Aeternitas Mega 4 has got you covered. A Complex name for a complex watch, don’t you suppose? This complicated timepiece features a whopping 1483 components as well as a world record 36 complications. Designed to last against the wear of time, the calendar on this watch follows a 1000-year cycle that is renewable to infinity. 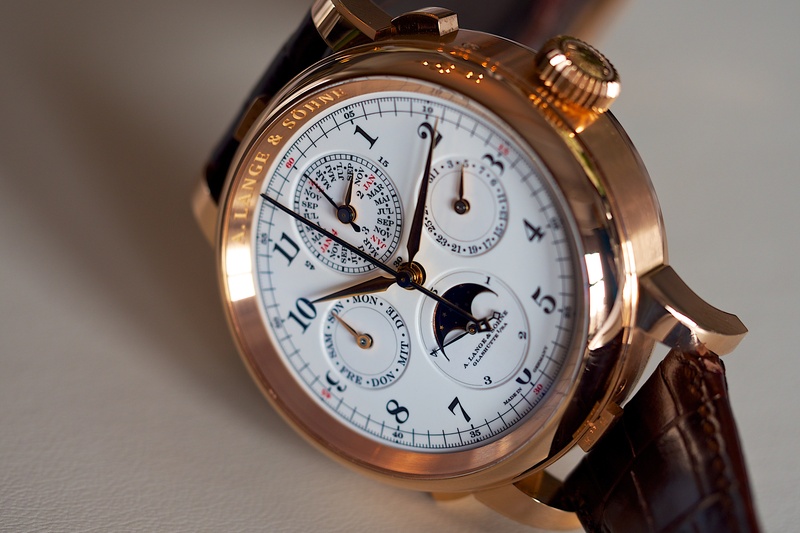 Lange & Söhne’s Grand Complication watch made its first debut in 2013 and holds record for currently being their most expensive watch. 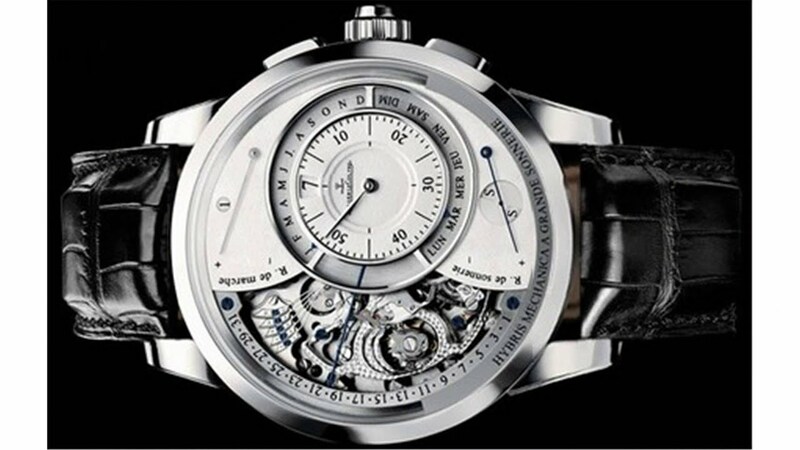 Taking over an entire year to create, and hosting multiple complications, this watch fetches a cool $2.5 million. With over 800 parts, this timepiece definitely holds a befitting name. Accommodated inside its spacey gold case, which measures a staggering 20mm thick & 50mm in diameter, is a perpetual calendar with moonphase, split-seconds chronograph with flying seconds, and a grande and petite sonnerie with minute repeater. The Hybris Mechanica Grande Sonnerie by Jaeger-LeCoultre incorporates manual winding mechanical movements that makes use of over 1400 parts. With so many parts working together so fluidly, it’s technicality fetches it a value of as high as 2.5 million. Naturally, as its name suggests, this timepiece offers its user a grande sonnerie as well as a petite sonnerie, minute repeater, and silent modes. It also plays one of the longest melodies ever recreated by a Grand Sonnerie, featuring a Westminster chime reproducing the sounds of Big Ben. 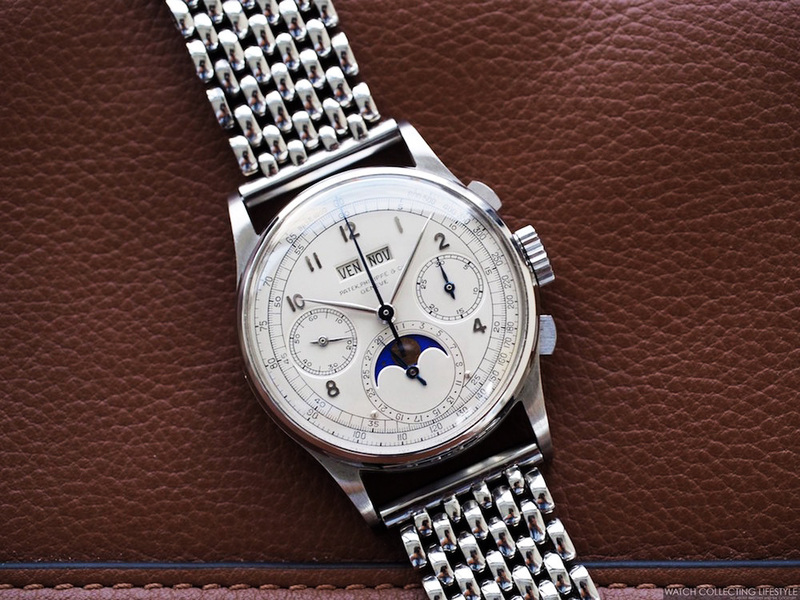 A Rolex will always have a high price tag associated with it, so how much would a uniquely rare one cost? Well, this beautiful, Antimagnetique Ref. 4133 sold for around $2.4 million in 2016 at an auction in Geneva (nearing double what it was expected to be fetched at). The split-seconds chronograph features an oversized design with a 44mm stainless steel case. Created in 1942, this is so scarce that it is one of only twelve ever created. This collection of the 15 Most Expensive watches in the world is brought to you by Havancci. We ourselves host a watch collection, one that won’t cost you a fortune to wear and still looks just as good. Swing by our watch shop if you want to look like a billionaire without paying the price of 2 mansions. Now you know where the top lies, it makes some of your thousand dollar watches look like chump change. However, you don’t always have to spend millions to look fresh and stylish. Check out our Havancci Store, where you can look just as fresh as a millionaire without spending as much.